Shang Yun Industrial Co. Ltd. Plastic thermoforming packaging: good transparency and brightness. Our products can be widely used in the packaging of hardware, cosmetic, hardware, toy, gift, handicrafts, medical care and electronic products. 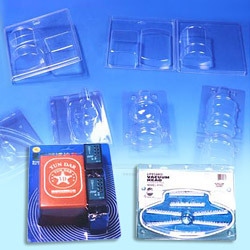 We supply our best quality plastic packaging and on time delivery to your requirement by order basis or OEM/ODM basis. We can produce the products according to your requirement, the material, size and thickness.